It’s benefit election season! And this is the time of year when you can consider a gift to yourself that you will celebrate years into the future. While many employees concentrate on making selections related to insurance plans, it’s also time to consider your contributions to your 401K or other retirement savings accounts for the 2019 plan year. It’s also a great time to think about other ways you can ensure your retirement income will be adequate when the time comes to start drawing on it. Since 2007, when the median retirement savings was only about $75,000, there has been a significant increase in the amount baby boomers are saving. That’s good news, considering that an estimated 39% of baby boomers expect their primary source of retirement income to be self-funded from 401Ks and similar retirement savings accounts. While the median amount of baby-boomer retirement savings is closer to $165,000 now, it still falls short of what will be needed to fully fund retirement that could be 20, 30 or even more years long. In 2018 you can contribute up to $18,500 to your 401K plan and if you’re age 50 or older you can make a “catch-up” contribution of $6,000 more for a total of $24,500. In 2019 the contribution limit will increase to $19,000. While an increase in your monthly contribution might not be realistic for your financial situation, if you are able to give yourself this gift, it can help secure your later years and reduce your tax burden at present. Many people may not be aware that the full retirement age (FRA) for Social Security benefits has been gradually increasing. FRA is now age 67. According to a Boston College study, 42% of men and 48% of women begin drawing benefits at the minimum allowable age of 62. This can significantly reduce your amount of benefit you receive. You can defer Social Security benefits until age 70 and increase your monthly income about 8% per year for each year you defer. Unfortunately, many opt to begin receiving benefits early because they haven’t saved enough in other areas to fund their retirement. From its inception, Social Security was designed to supplement retirement income not serve as the primary source. Among Social Security beneficiaries, 50% of married couples and 71% of singles receive at least 50% of their retirement income from Social Security. If you’re at or nearing retirement age, you may want to consider continuing some form of work. By continuing to work, even with reduced pay, hours, and stress, you’ll be able to have an additional retirement income source that, coupled with savings from 401K, pensions or other income, could allow you to defer your Social Security benefits thereby increasing the amount you’ll ultimately receive. 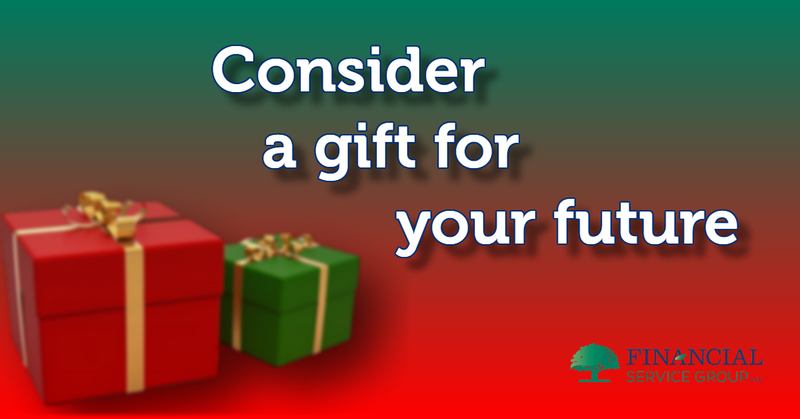 Consider giving yourself a gift toward your retirement income this holiday season. It is certainly one you’ll be grateful for in the future.